With clear evidence linking obesity, unhealthy food choices, and sedentary lifestyle to increasing incidence of many chronic, debilitating conditions, companies cannot afford to ignore the cost of unhealthy employees. Healthy employees tend to have higher satisfaction, morale, and productivity, with fewer sick days and health insurance claims. kj’s workplace wellness programs provide practical solutions and achievable goals, allowing participants to get results with minimal time, cost, and inconvenience. It’s a wise investment for your company. See below for program descriptions or contact kj directly to request a customized program for your workplace. This 1-hour seminar focuses on the foods and nutrients that promote optimal health. The class covers calories and the role of protein, carbohydrates, fats and hydration, vitamins, minerals, and antioxidants. Each participant will take home a copy of kj’s food and activity tracker tm , a tool which helps them actively improve the overall nutrient content of their diets. What is the definition of “natural” and is this term regulated? These programs can be presented as seminars, where kj does most of the talking and attendees listen to the information and take notes, or workshops, which are more interactive and may call for audience and small-group participation. These programs are used as building blocks to design a comprehensive program for your corporation or organization. Participants notice increased energy, safe, consistent weight loss, and general wellness after investing the time in our multi-part workshops! This four-part workshop is designed to help participants establish a healthier relationship with food, improve their body/self-image and learn strategies to manage their eating behaviors while improving overall health and quality of life. 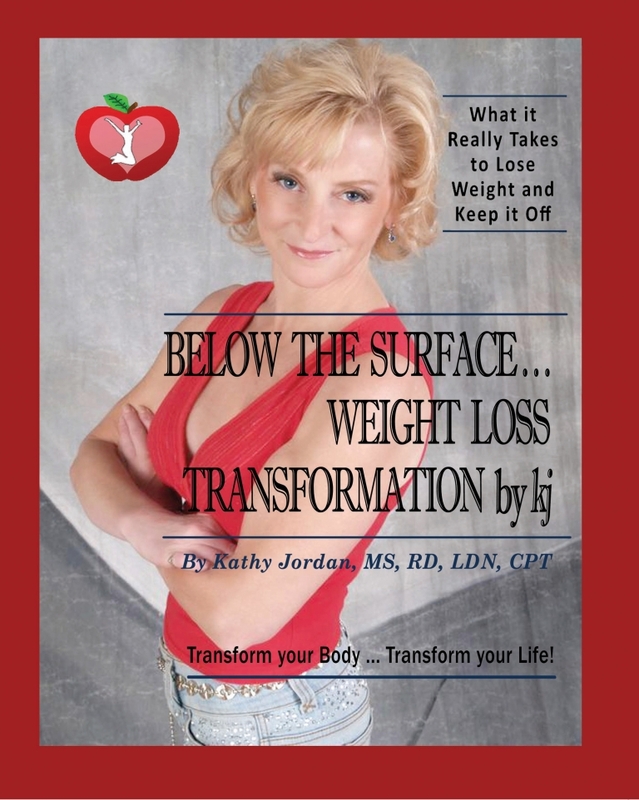 Participants will each receive a copy of kj’s book, Below The Surface … Weight Loss Transformation by kj, to use as a guide to maintaining their progress. Week 1: Envision You Exercisesm and Goal Setting helps participants identify thoughts, feelings and emotions that have hindered?…their weight loss progress in the past. Participants also set weight loss/health goals and begin to plan the steps to achieve them. Week 3: Pre-planning and Cue Management educates participants on the importance of pre-planning for success, as well as raising their awareness of the “cues” that spark their eating behaviors. Week 4: Aligning with the Goal teaches participants to manage their thoughts and emotions around food, eating behavior, self-image and body image. In this closing session, we perform a Goals Assessment and talk about how to continue moving forward successfully. The Quick Fix Workshops – These two seminars combine to focus on the top two excuses of weight management and health: too little time and too little know-how. It’s an ideal “jump-start” for people who need practical tools fast, or can form a solid introduction to a full-length wellness program. No gym required- Quick and easy workouts that can be done at home or even in the office! In Quick Fix seminars, participants learn strategies and customized solutions that empower them to attain their weight and fitness goals. Participants also come away with at least one major change they can implement easily, for an immediate impact on their health.